With the change in the White House, many LGBT activists fear a roll back of their rights. 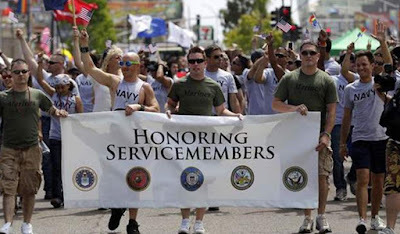 While the White House remains silent this month, fortunately other federal agencies are recognizing June as LGBT Pride month. The State Department issued remarks from Secretary Rex Tillerson in a statement: "In recognition of LGBTI Month, the Department of State affirms its solidarity with the human rights defenders and civil society organizations working around the world to uphold the fundamental freedoms of LGBTI persons to live with dignity and freedom". Elsewhere, the U.S. Navy was one of the first uniformed service organizations to issue a LGBT Pride Month statement. 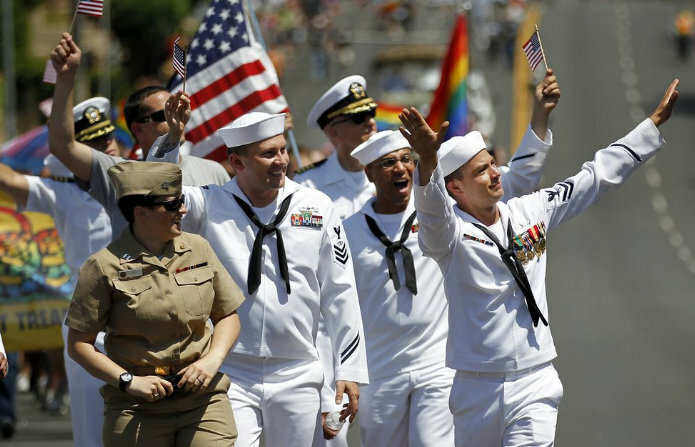 In a press release, the Navy declares the LGBT community is part of One Navy Team that contributes their diverse talents, skills and service to the strength of the force. "To remain the finest seagoing fighting force, the Navy needs men and women who are the right fit for the right job regardless of race, gender, sexual orientation, creed or gender identity", said Capt. Candace Eckert, Special Assistant for Inclusion and Diversity. "Our goal is to ensure that the mission is carried out by the most qualified and capable Sailors. If an individual can meet the Navy's standards, they should be afforded the opportunity to be part of the One Navy Team", he added. President Obama repealed "Don't ask, Don't tell"
yes, is very good to see!